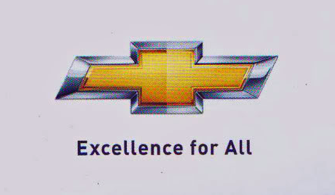 - GM's new tagline: Excellence for all. Seriously? Seriously? - Celebrities speak out against poor fishing practices which harm dolphins. - JetBlue has selected Mullen as its new ad agency. - The effie's, along with Heineken, are honoring student creativity with the Collegiate PSA Challenge. - It's Finnish but its about blogger/TBWA designer Riku Vassinen an his new digital marketing book. It's a cover version of Mobb Deep Shook Ones Prt.2. We heard "Foursquare" though. - Idiotic ad of the day. - Former Adrants Editor Angela Natividad, who will be back to cover Cannes for us this year, is covering Social Media and Community 2.0 in Boston this week. Her first post is entitled OMG! We Need to Do Social Media!